The Krusin Coffee Table is a square shaped low coffee table with an inset glass or marble table top within a wooden frame. Designed by Marc Krusin in 2011, the Krusin Coffee Table has a low surface height of 10” | 25.4 cm and widths of 36” | 91.4 cm. The mortise-and-tenon frame is available in a range of woods that include ash, oak, or walnut, and paired with either a marble or glass surface. What is the Krusin Coffee Table? The Krusin Coffee Table is a square shaped low coffee table with an inset glass or marble table top within a wooden frame designed by Marc Krusin (2011). How big is the Krusin Coffee Table? 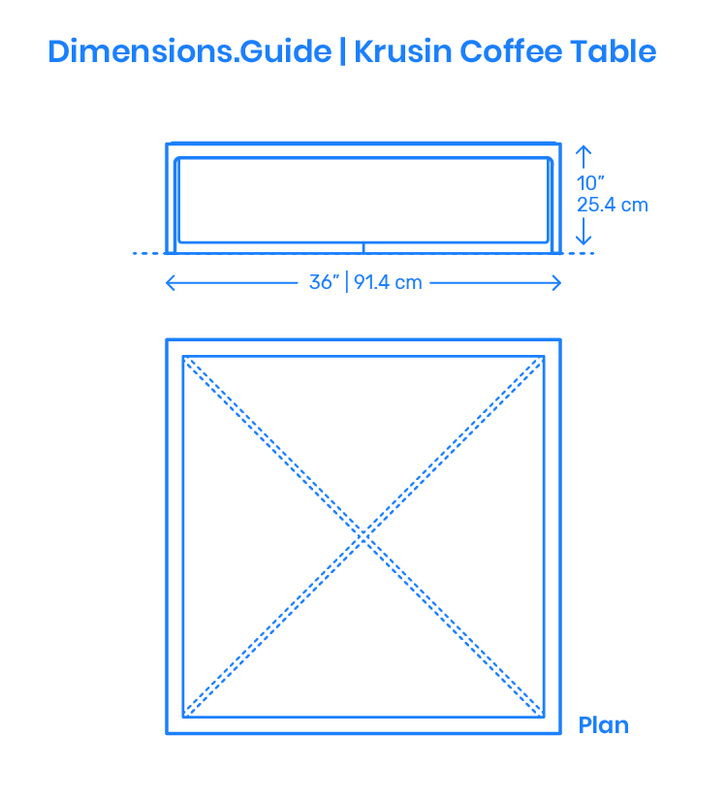 The Krusin Coffee Table is a square tabletop with widths of 36” | 91.4 cm and an overall area of 9 ft2 | .8 m2. What height of sofa should be paired with the Krusin Coffee Table? The Krusin Coffee Table has a low tabletop height of 10” | 25.4 cm and should be paired with sofas with similarly low seat heights between 10”-12” | 25.4-30.5 cm.